For as long as I can remember Burghley has filled people with awe and inspiration. So much more than a house, Burghley offers a unique glimpse of the way great houses have been furnished and inhabited from the time of Queen Elizabeth I to the present day. Earlier generations of my family have endowed this magical place with beautiful treasures and it is the privilege of all of us who live and work here to share them with you. 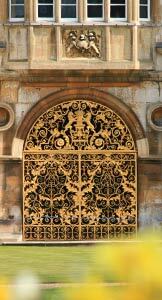 Burghley House Preservation Trust, an educational charity. 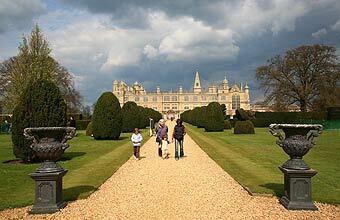 The Burghley House Preservation Trust Limited was established as a charity in 1969 by the Sixth Marquess of Exeter for the advancement of historic and aesthetic education and the preservation of buildings of national importance, and in particular the preservation and showing of Burghley House near Stamford. The charity raises its income from charging an admission fee to visitors and running events and other commercial activities at the House. In addition the charity owns a significant investment property portfolio based around the Stamford area. Wherever possible the annual surplus is used to repair, restore and maintain the fabric of the buildings at Burghley House and the important collection of works of art and furniture that they contain. The Governors of the Trust also carry out their activities with a view to conserving the environment of land and buildings owned by the charity. As well as giving the public the opportunity to visit and learn about this great historic house, the formation of the Trust ensures that Burghley House and its unique treasures will be preserved and conserved for the nation into the future. To download a copy of our annual reports please click on the relevant year.